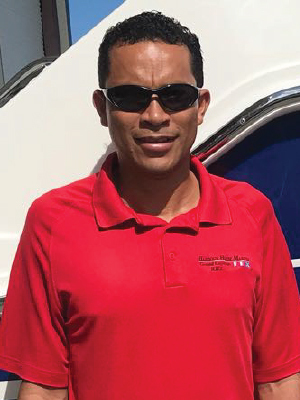 Alfredo started with HHM in 2000 and has done just about every job in the book and has worked his way up from doing fiberglass repairs to being the Service Manager. For 2019 he heads up our new in house Upholstery Department and he can provide quotes for boat covers, awnings, cushion repairs and much more. He also looks after sales of EZ Dock.